Stump89 replied to Stump89's topic in Cigars Discussion Forum "the water hole"
Hunter was number 3 lol, cazzies were purchased for her birthdays. The first 2 are Emily(half corona because she is so short) and Jacqueline(petit royales because she's a little diva princess). Lol, thought about also adding that Corona gigantes was off the table too. Stump89 posted a topic in Cigars Discussion Forum "the water hole"
My lovely missus is due to have girl number 4 on May 2nd. We have still not decided on a name and I'm curious to hear if there are any nice sounding girl names related to the cigar hobby. We've already ruled out Juliet and Perla, but definitely open to other suggestions. Stump89 replied to El Presidente's topic in Cigars Discussion Forum "the water hole"
I generally use the internets to figure out anything I dont generally know. Must be a GenX thing but I know there's a YouTube video for fixing just about everything. Worked for installing a new belt on my dryer. I am an internet jack of all trades handyman. Which basically gives me enough knowledge to be dangerous lol, but I won't do electrical stuff. I dont tend to call anyone else to fix anything, because I'm cheap lol. And it's a hell of a lot easier to take care of it myself with 3 kids running around. Stump89 replied to cbenham73's topic in Cigars Discussion Forum "the water hole"
Just keep them for no reason really. I think they look cool in various glasses. Pardon the mess there in the background lol! Beautiful looking BBQ right there! I don't find either to be all that similar. The PCs are milder and slightly floral for me, where as the 1s and 2s are more full bodied and have a little more baking spice/woodsy/ citrus zest. I am a huge fan of the petit corona and the 1. They seem to get a lot less love than the 2. Just my 2 cents. I love these things. Wish I had several more boxes. Stump89 posted a topic in "Cheap & Cheerful"
As summer nears in my neck of the woods, I'm looking into some decent cheap sticks for yard work and general screwing around outdoors. I have a fair share of panatelas and am looking for something different. Never had anything JLP and I always like to try something different and the price seems right. Are they worth it, or should I stick to my PLP/RGP? Stump89 replied to cigarsdelcuba's topic in Cigars Discussion Forum "the water hole"
Another giant Ramon Allones RE... yawn. I probably have about a dozen of the normal sized bovedas in mine. Probably not necessary, but I've never had any issues. Definitely do not use the oasis in a wineador. Theres no way for the excess moisture to get out, and it could get bad fast. Stump89 replied to Psiman's topic in Cigars Discussion Forum "the water hole"
It's amazing how much room the shelves take up lol. Also got rid of mine early on. Stump89 replied to helix's topic in Cigars Discussion Forum "the water hole"
Stump89 replied to ATGroom's topic in Cigars Discussion Forum "the water hole"
Definitely this. Thanks for providing the world with a valuable resource for information, even if it destroys livelihoods lol. Stump89 replied to Derboesekoenig's topic in Cigars Discussion Forum "the water hole"
I've heard the term 'golden age' before but I think that can be interpreted a lot of different ways. 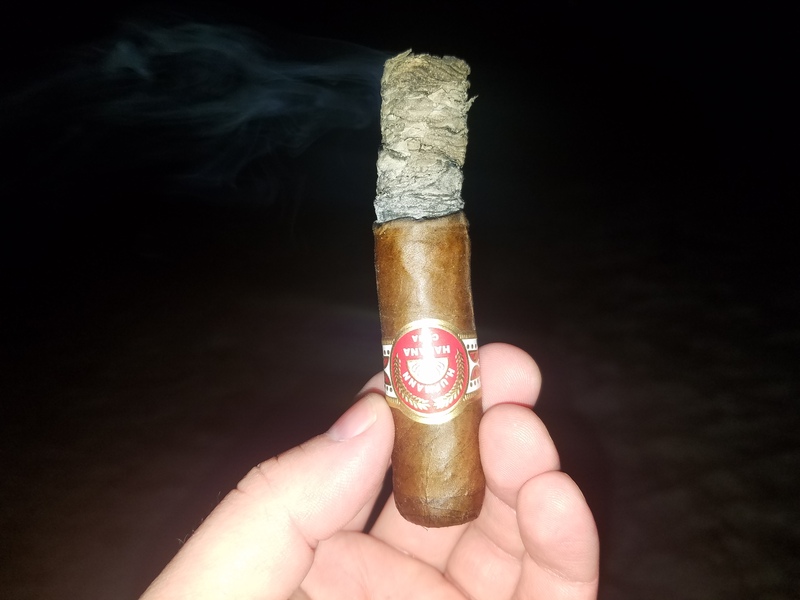 I've only been into cigars for about 12 years and CC for about half that time, so I can only speak from a fairly recent sample. It seems like the has been growth every year in terms of revenue and market growth. Anyone out there please feel free to correct me if I'm wrong. Sure it's a lot of in your face fat regional editions, limitadas, and loud packaging/rebranding, but people everywhere are still buying and smoking them. And as much as I hate to admit it, some of the shiny new gigantic stuff is still pretty damn good (magnum 54 I'm talking about you). In that sense, maybe one could consider this part of a golden age. From a worldwide political standpoint, tobacco products are the enemy. Nothing will stop the anti smoking agenda, and they are prepared to do whatever possible to make it difficult for smokers to relax and enjoy their hobby. In that sense, definitely not the golden age. My 2 cents. Probably not worth 2 cents lol!